Every now and then I have the honor of spending time with some truly wonderful people. It is one of those things I look forward to in life. Even though we didn’t spend time face to face, I was able to have a long and deep conversation with Matt Guss. If you are familiar with the Seattle area, and you are a pipe smoker, you have probably heard of Matt. 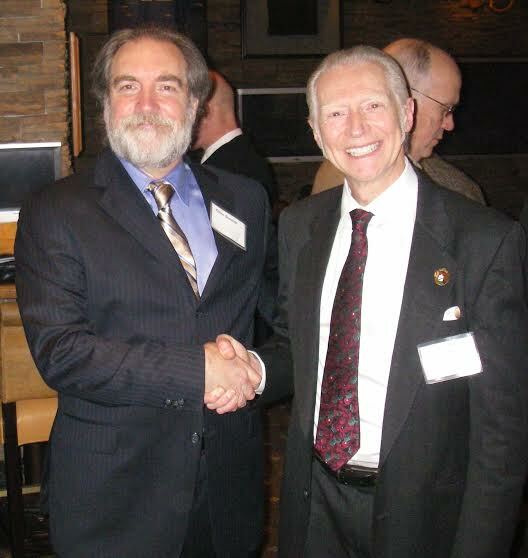 He is the founder of the Seattle Pipe Club, operates a small advertisement firm, and is an all around gentleman. Sit back, load up a bowl, and get to know one of the most pleasant pipe smokers in the country. 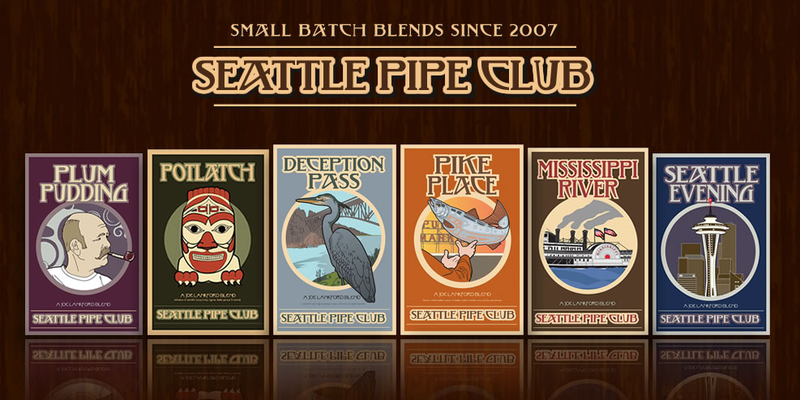 To see the second part of our conversation, where we talk about the Seattle Pipe Club, visit The Seattle Pipe Club: History, Events, Tobacco and People. (Chris) Well Matt, it is an honor to be having this discussion with you. I always look forward to having an authentic conversation with someone who shares the hobby I love, even if we are 3,000 miles apart! How did you get into this wonderful hobby? (Matt) Well, like a lot of pipe smokers my dad smoked a pipe. Pipe smoking was a familiar way of being social, of getting together at family events and relaxing after dinner. At this time, even though I was too young to smoke, the smell and the togetherness of pipe smoking really hit home with me. When I left for college, my dad said “every college man should have a pipe”. He took me to the local Tinderbox and makes a sweeping gesture in front of a giant glass case full of pipes and says “pick a pipe”. Of all the pipes that I had to choose from, this one, a Gourd Calabash, just stood out to me, probably because it looked like a pipe from Sherlock Holmes. As the tobacconist ceremoniously removed the pipe and set it on the counter, I knew this was my college man pipe. I only smoked that pipe maybe five or six times until I boxed it up, and put it into a drawer. And in that drawer it stayed until I was 35 years old. And one day I was looking at the tobacco and somehow it was still moist (probably from all the propylene glycol). So I pulled out the pipe, started to smoke it again, and the rest is history! (Chris) Why is pipe smoking so special to you? (Matt) You know Chris that is a hard question to answer. I would say the reason why pipe smoking is so special is its social aspect. I mean, the whole reason I ever started the Seattle Pipe Club was because I so highly valued the social aspect of smoking. I was looking for other pipe smokers to hang out with. There is something about this hobby that translates across time and space. I have made friendships I would never have without the pipe & tobaccos. I have dear friends who are pipe carvers, sellers, blenders, and smokers all over the US and Europe just because we share this same hobby. I treasure these friendships! Aside from that, the pleasure of smoking a pipe is unlike anything else. It’s relaxing, it’s thoughtful, it’s tactile, and meaningful. I would say that many of us reach for our favorite pipe subconsciously. Each day, when we choose what pipe and which tobacco to smoke, we make a hard but thoughtful choice. Every bit of the process to me is just pleasurable. Pipes soothe us when we need to be soothed. They console us when we need to be consoled. They help us celebrate. When I think about it, there is just nothing quite like pipe and tobacco. (Chris) Now I have a two part question for you: how many pipes have you now amassed and which one is your favorite? (Matt) For a quick answer, I probably have between 50-60 pipes in my collection right now. Well when I began buying my own pipes, which was around the inception of the Seattle Pipe Club, I was quite frugal. I never payed more than $5 for a pipe. I figured “Hey! It’s just a piece of wood with two holes in it. Why would I pay more than $5?” I thought paying $500 for some piece of wood was crazy! But of course, like most collectors, I changed that opinion over time. As for right now, I am not some mega-collector. People in this hobby say they have PAD, or Pipe Acquisition Disease. I am still afflicted by that from time to time, but I can keep my pipe collection under control most of the time. You know as I have been collecting for years and years now, my tastes have changed. I no longer buy $5 wood pipes, but I still love a Missouri Meerschaum cob. What I really enjoy is the aesthetic quality in pipes. What I like to do is buy pipes from friends that I have made who happen to be pipe carvers. So when I reach for one of those pipes, like the one I am holding and smoking right now, it brings back all the memories that I have of and with that friend of mine. 90% of my pipes are from friends. It is hard to isolate my favorite carvers. I love Wolfgang Becker from Germany, I have about 15 of his pipes. One of my favorite new carvers, a man who is a good friend of mine, is Chris Asteriou from Greece. On top of that let me tell you, I would never buy a pipe from a jerk. Not in a million years. There is no pipe that is so beautiful, so important to be had, that it’s worth buying from someone who just treats people bad. There are very few of these people, but they are there. (Chris) Now on to tobacco. If you had to choose one tobacco blend to smoke for the rest of your life, what would it be? (Matt) Easy: Plum Pudding. If I was stuck on an island, I would want a gigantic tin of Plum Pudding. That’s no kidding. I am not just trying to plug the Seattle Pipe Club. You know the great thing about our tobaccos (the SPC blends) is that we are not trying to just sell tobacco to make money. We made these blends and put them out for the club because we loved them. And the world just so happens to love them too. (Chris) As you probably know pipe smoking was a dwindling pastime. But recently it has resurged in popularity. With your first hand experience with all sorts of smokers, why do you think it is becoming so popular? (Matt) That is a very interesting question. I think that people are rediscovering pipes and tobacco as a very satisfying way for adults to enjoy an adult activity at their own discretion. People growing up today are taught that tobacco in every form should be avoided at all costs. The other side of that coin is that while anything can be abused and eventually hurt you, we all have to make choices about the things which we are going to enjoy. If we are going to be completely honest, the good side of smoking tobacco pipes far, far outweighs the bad. There is an incredible self satisfaction with pipe smoking. It builds amazing friendships, just like the one we are building right now, even though we are a few thousand miles away. But back to my original point, smoking a pipe is hard to abuse. You don’t really see people who smoke 20 pipes a day where they are completely addicted. Pipe smoking, when done correctly, is much calmer than that. In today’s world we need refuge. We need relaxation. We need something that takes the pressure off of us for a bit. Pipe and tobacco is perfect for that. 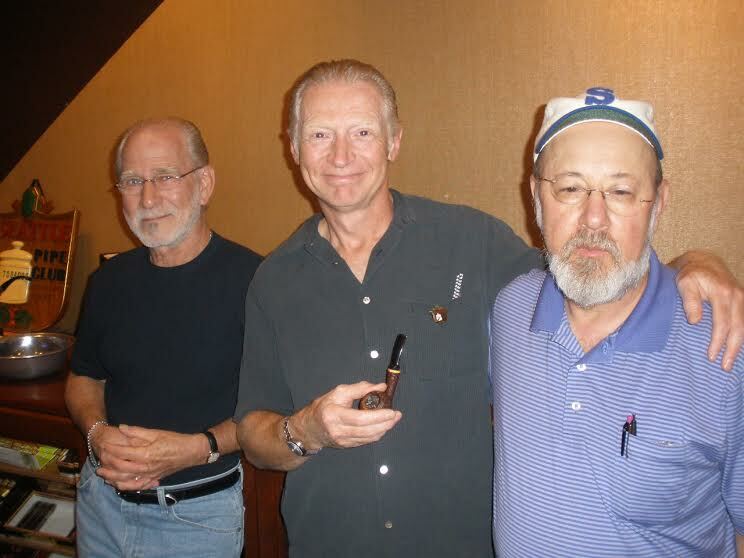 (Chris) As an insider, what do we, the pipe smoking “laity” need to do to preserve and promote our beloved hobby? (Matt) The truth is that, in my opinion, there is one thing we desperately need more of: pipe clubs. Getting together with other smokers, building friendships, and sharing in this amazing hobby is what pipe smoking is all about. I encourage everyone to either find a pipe club close to you and join, or start your own, even if it’s just a few friends who get together and smoke occasionally. (Chris) As you know, learning your way around this hobby is difficult. What do you wish you had known as a young pipe smoker? (Matt) The truth is that if I could go back, I wouldn’t tell my past smoker self anything. I wouldn’t want to approach the process any differently than I did. The reason why I say this is that there really aren’t any shortcuts (besides just being in the presence of knowledgeable smokers). Every pipe smoker has to take their own path. Each person has a unique pipe smoking progression that is crucial for shaping them as a smoker. I look back on some of the tobaccos I used to smoke 20 years ago, and I wouldn’t touch them with a 10 foot pole! I wouldn’t say that I have outgrown them, but our tastes change. We have to figure out for ourselves what kind of smokers we are going to be. The process takes time. No one can do that for you. (Chris) So what pipe shows can we see you at this year? (Matt) Well, other than coming to a Seattle Pipe Club meeting, which would be the easiest place to meet me, I always go to Chicago. And I should say that I encourage all your readers to make it to the Chicago Pipe Show if at all possible. Make the pilgrimage there sooner than later. 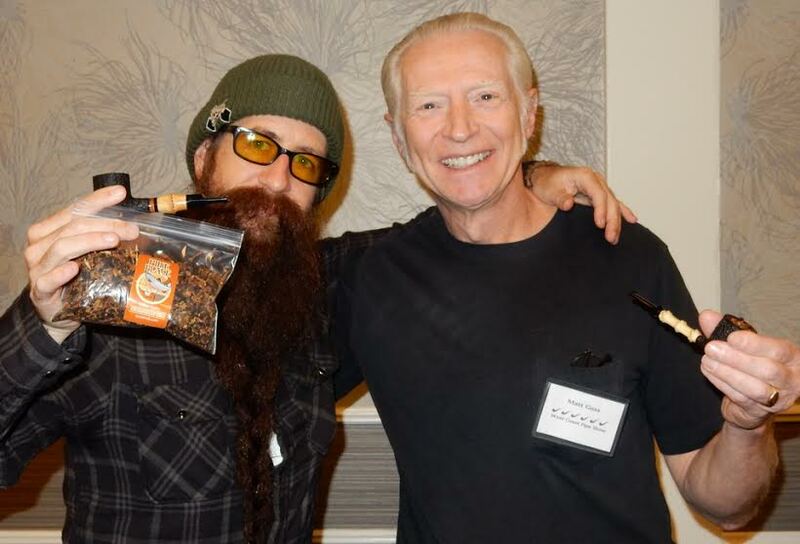 I always go to the West Coast Pipe Show, which is in Las Vegas. Vegas is a terrific show, smaller in scale but a ton of fun. Decisions about other shows are in flux. I don’t usually attend others but I may from time to time. (Chris) Well Matt, what I appreciate most about our conversation is the approach you take to pipe smoking. You have a wonderful balance of practical, philosophical, social, and personal reasons why you are the pipe smoker that you are today. It has been a tremendous pleasure having this conversation with you. I hope to see you this year! (Matt) Thanks Chris, it was great to make a new pipe smoking friend. Very interesting read, especially since I just started a pipe club here! 😉 Thanks for posting! 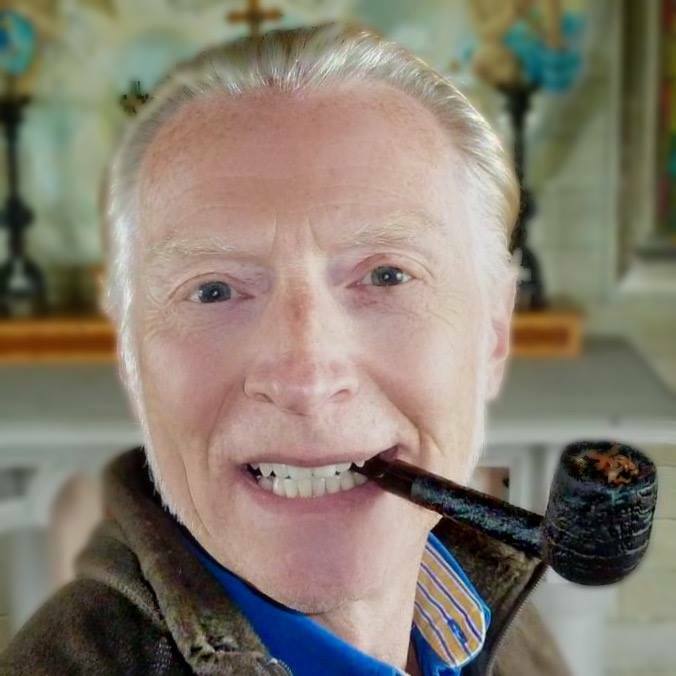 Charles, where is your pipe club? Matt is a fine pipe-man. I am most happy to have him as a friend. Interesting read Chris. Great job! It’s interesting to read different long-time smokers perspectives. Thanks Renia, it was a ton of fun talking with Matt!